DISCOVER the sales and marketing tool, which is literally, in your back pocket. 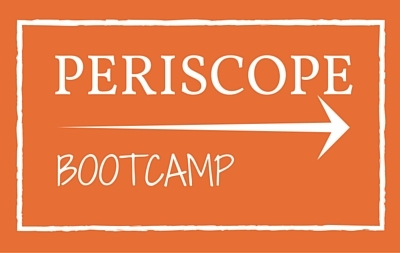 The Periscope Bootcamp is a six-module step by step training course. Designed to give you the confidence so that you are eager to hit the Broadcast button. It’s a heart-centred approach that you won’t find anywhere else. Together, we’ll cover the tech side AND guide you through the blocks of being seen.